BORDERLINE 9!!! 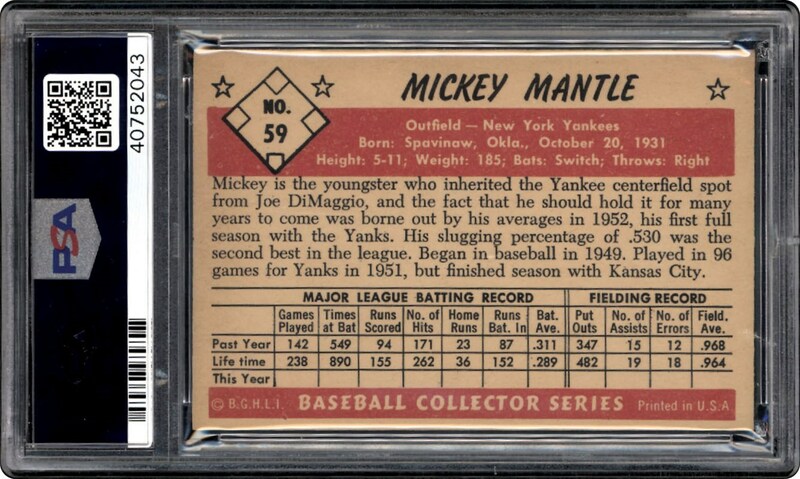 The 1953 Bowman Color release is among the most popular sets in our hobby, and the offered example depicting Mickey Mantle displays one of the series' finest designs. Bowman's efforts in 1953 revolutionized the production of baseball cards. The company's 1953 Color cards' crisp and bright, color-photo illustrations, decorative graphics, continue to be viewed today as desirable collectibles. The offered card is a very pleasing expression of its production's lovely aesthetic. 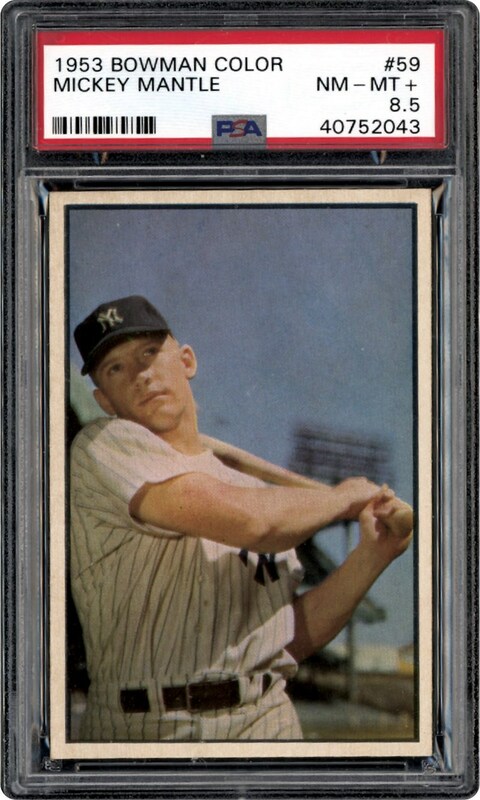 Clean white borders frame Mantle's batting pose likeness. The card's superior color and focus, and its marvelous print quality, combine to yield outstanding eye appeal. Its edges are fresh and fully original in appearance; the item's perimeter reveal nicely pointed corner tips. Here's a thoroughly enviable Hall of Fame subject from Bowman's first, and most impressive, oversized issue. Get on board the high end Mantle train.